Pride Isn’t an End. It’s a Beginning. Pride Month is not only an opportunity for homeless youth programs to celebrate the lesbian, gay, bisexual, transgender (LGBT) young people with whom they work, it’s also a time for youth-serving agencies to come out as visible allies of all young people. Sometimes youth serving organizations may not celebrate Pride Month if they think it isn’t relevant to the youth within their programs. Even if you aren’t aware of any LGBT identified youth (or youth who may be questioning their sexual orientation or gender identity) within your programs, chances are, they’re there! In fact, 99% of the service providers we surveyed for our Serving Our Youth Report said they work with LGBT youth in their homeless youth programs. Less than one percent reported not working with LGBT youth. Pride Month is a perfect opportunity to let these young people know that you see them, stand with them, and support them. Pride Month is a time to be, well… proud! It’s a time to celebrate the accomplishments of LGBT people and communities. And we’ve had no lack of accomplishments lately! Laverne Cox continues to excel at her craft, while also raising awareness about the unjust treatment of transgender people, particularly transgender women of color, in our country. Over the past few months, Caitlyn Jenner’s decision to live as her true self has made headlines worldwide, and introduced the topic of transgender identity to a whole new audience. Let us be proud of and celebrate these incredible women! Let us also recognize that many LGBT young people struggle to survive in families and communities that are not yet able to accept or celebrate them. 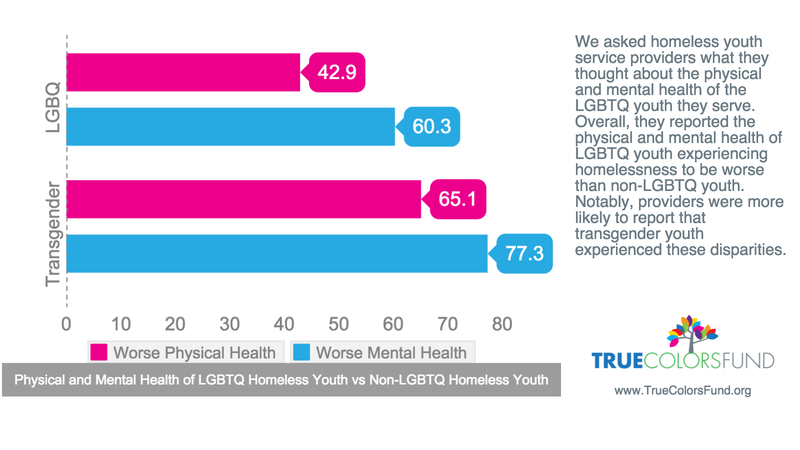 According to service providers we surveyed, LGBT youth continue to be overrepresented within the population of youth experiencing homelessness, and identity-based family rejection continues to be the primary reason for their homelessness. While Laverne and Caitlyn are making their ways into households all over the world via mainstream media, transgender youth are being forced out of their homes and face great difficulty finding adequate support once on the street. Organizational staff report average increases in the proportion of LGBT youth they serve. This change is higher for transgender youth. Service providers were more likely to report that transgender youth experience homelessness for longer periods of time than cisgender LGB youth. Transgender youth were estimated to have experienced bullying, family rejection, and physical and sexual abuse at higher rates than their LGB counterparts. The number one need for LGBT youth experiencing homelessness, as identified by providers, was housing. Providers also identified transition-related support as a critical need for transgender youth. Transition-related supports include access to legal support, name/gender marker change, access to healthcare specific to transgender youth, access to hormones, and emotional support. So why am I bringing this up during Pride Month, a time when celebrations of LGBT identity abound? Because not all LGBT community members are accepted, much less celebrated, in their families and in their communities. This June, I challenge you not only to celebrate, but also to educate within your organizations and communities. Increasing visibility is important, but let’s not stop there. It’s an important first step in creating a safe and inclusive society, but when Pride Month is over and the parades have ended, what will have changed for the LGBT youth experiencing homelessness in your community? This June, I am proud to work alongside many of you in communities around the country as you commit to making your programs and services safe and affirming for all youth. I encourage you to celebrate the LGBT youth you serve not only during the month of June, but all year. If you’d like suggestions on how to do that, contact us at the True Colors Fund. We’re happy to help! It’s a statistic that may shock you, but that doesn’t make it any less true: Approximately 40% of youth experiencing homelessness identify as lesbian, gay, bisexual, or transgender (LGBT), while about 7% of the general youth population does the same. The discrepancy is outrageous. And it’s impossible to ignore. On Wednesday, April 29, 2015 NSPN will join people across the country – including national advocacy organizations, elected officials, service providers, celebrities, LGBT youth, and community members – to support the first ever #40toNoneDay. #40toNoneDay is national awareness day for everyone who cares about ending LGBT youth homelessness. 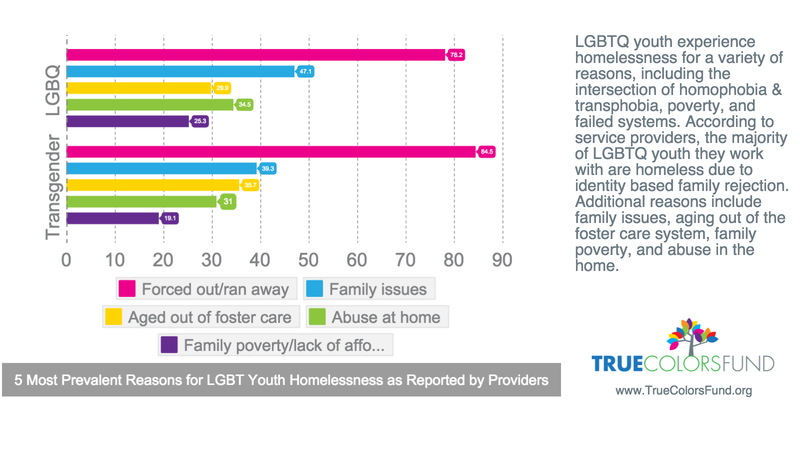 While there are many factors that contribute to LGBT youth homelessness, identity-based family rejection is the most commonly cited reason. The ultimate goal is to reduce the disproportionate percentage from 40% to none. We need your help! People often think that, because they don’t work at a shelter or service provider, they don’t have a role to play in the effort to end LGBT youth homelessness. The reality is: Everyone can make a difference! 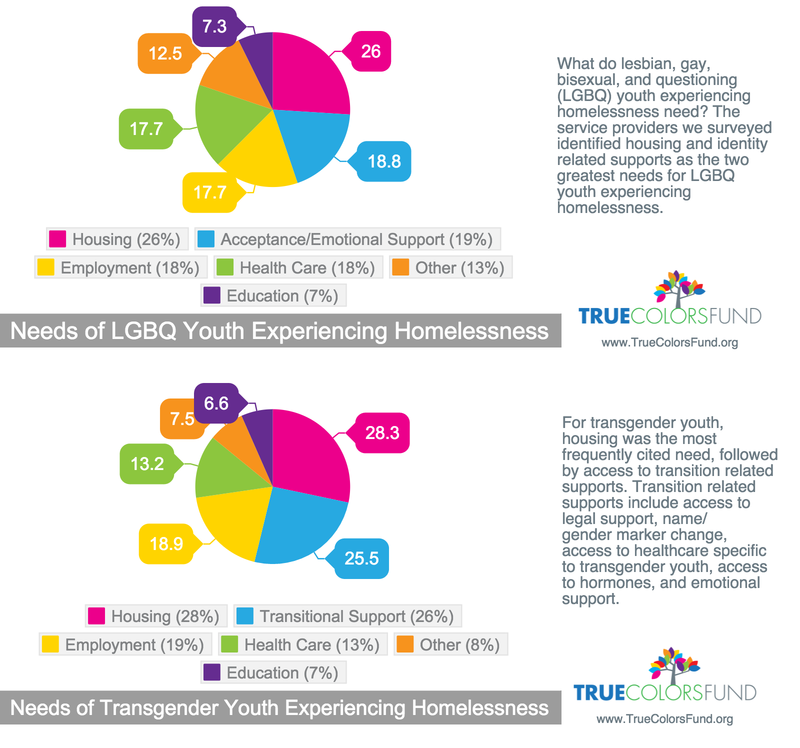 LGBT youth experiencing homelessness interact with more than just people working at shelters. They go to coffee shops and libraries, ride public transportation, use the internet. To put it simply: they live life! We all share the same world and you may interact with these youth on a regular basis without even knowing it! NSPN is honored to support #40toNoneDay, but we cannot do this alone. All of us have the ability to make a positive impact in the movement to end LGBT youth homelessness. The opportunity is yours. Will you take it?